Joe made me this postcard for Valentine’s Day. Later on, he noted that she is either emanating color out into the desert world, or being attacked by a storm cloud of rainbows. Ultrasonic images have that mysterious way about them. What is she thinking? you wonder. If I have to bend over and pick things up, I start panting, ohhing, and ahhing, like taking out the trash might be the last effort I donate to the day. My mom told me that in her first pregnancy she started eating foods from her childhood. It might have just been those “crazy woman cravings” that society is obsessed with attributing to pregnant women, or she suggested, she was struggling with the transition of being responsible for someone and wanted to revert back to being a kid again. I can’t really think of another reason why kraft macaroni and cheese will be the food I end up associating with this pregnancy. I have been struck by the strange fact that though every woman must map the tricky route of how she will balance her baby and her hopes for her engagement with the outside world, it is difficult for us to talk to each other about it. We each have our own notions of what the other must assume, and speak hesitatingly only for ourselves. For what has been a dynamic issue for the past forty years, it has not resolved in any useful way. Desperately needing cheats to eat vegetables every day, I jumped on the green smoothie train. It has saved me, and probably a few red blood cells too. Banana, frozen wild blueberries, bunches of raw spinach, almond milk, blend. You don’t really taste anything beside the banana and the milk, and there is none of that flat-tongue-leaf-spinchyness texture that I lately despise. Saved. The hormones have begun to occasionally swing away from blissful mother o’ peace to those of a cranky perturbed five year old. Not only are things wrong, things are cryably wrong. 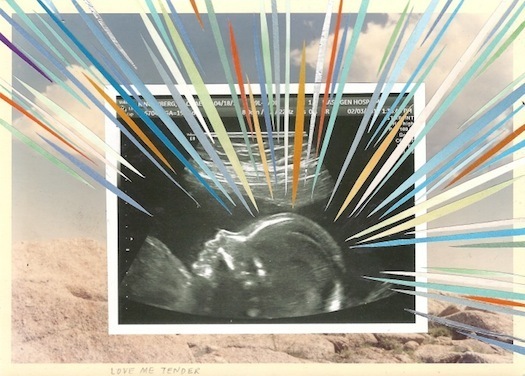 You experience things in pregnancy that make you relate to an infant—the desperate, overwhelming desire to eat right now; the frustration of not knowing or understanding where emotions well up from and deciding to just express them anyway; the fulfilling occupation of simply gazing off into space. My trusty shirts are, one by one, waving a hand of fond farewell and retiring to the corners of my drawers, hoping I will not ask them to experience that again. I just went through all the clothes I own, and was surprised to meet a few new candidates for favorite shirt. At least for the next week. She kicks when I do yoga, when Joe plays the guitar, when I eat peanut butter, and when I think it might be a nice time for a little peace and quiet, she practices her routine for a kicking brigade dance show. These are just the kicks I habitually note, the others are faintly scribbled on an EKG reading somewhere in my brain that I recall when I have a moment of panic, thinking she’s been silent for days. Really excellent reflections, Rachael. Thank you. rachael, i loved this. so beautifully written and so true! i especially relate to the end — i want the baby to kick at least 1x per hour for me to feel like all is well. sometimes i think he does it on cue, to chill his mother out. wishful thinking? Thanks Bridget–I love reading your updates. Can’t wait till your belly pops–I want us to be little potbellies together. going back through some of your old posts. this is so beautiful. you are a great writer.